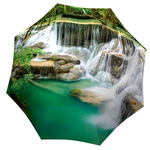 A majestic waterfall umbrella of the tropical forest of Thailand. 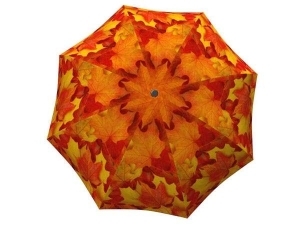 Let every rainy day become a holiday in Thailand. Forget about the showers outside by indulging in these scenic waterfall views every time you are out on a stroll. 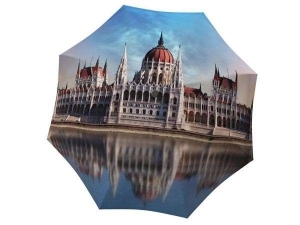 Pretend you are in Thailand’s National park whenever you take out this unique umbrella. You can’t go wrong by presenting this gorgeous Thailand backdrop to a travel fanatic as the best gift for any special occasion. 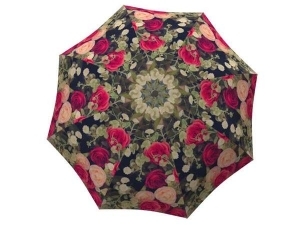 This stylish and well-crafted umbrella has the perfect lightweight design and strong waterproof fabric that will protect you from a pesky drizzle all the way to a tropical storm.